Painting of the new tapir species. Painting courtesy of Fabrício R. Santos. 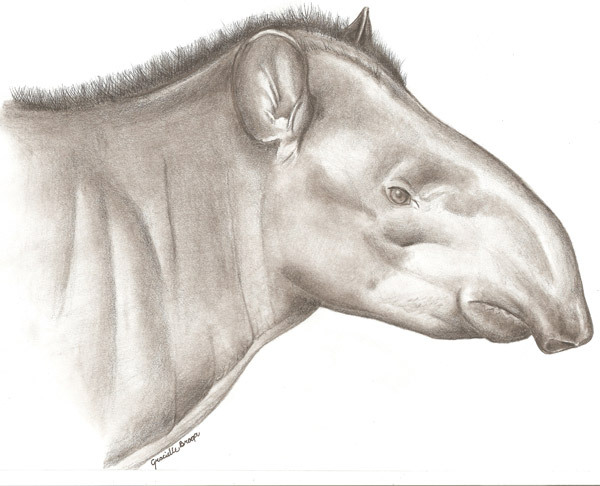 A tapir known to the local people and unknown to Western scientists has been found. This all sounds similar to an early story told in cryptozoology. In 1812, Baron Georges Cuvier, a French naturalist and zoologist, made what cryptozoologist Bernard Heuvelmans called his “Rash Dictum“: Cuvier remarked that it was unlikely that any large animal remained undiscovered. But Cuvier was wrong. 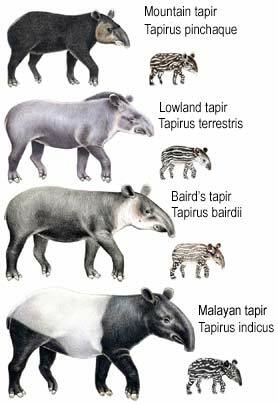 Tapirus indicus, the Malayan, white-backed, or Indian tapir is famous within cryptozoology as the first animal to be described as a “new species” after Cuvier’s infamous 1812 declaration. Although it was ethnoknown to the Chinese and Japanese “since time immemorial,” Cuvier distrusted such traveler’s tales. Therefore, the white-backed tapir was not known in the West until it was collected and formally described to the Asiatic Society in 1819. 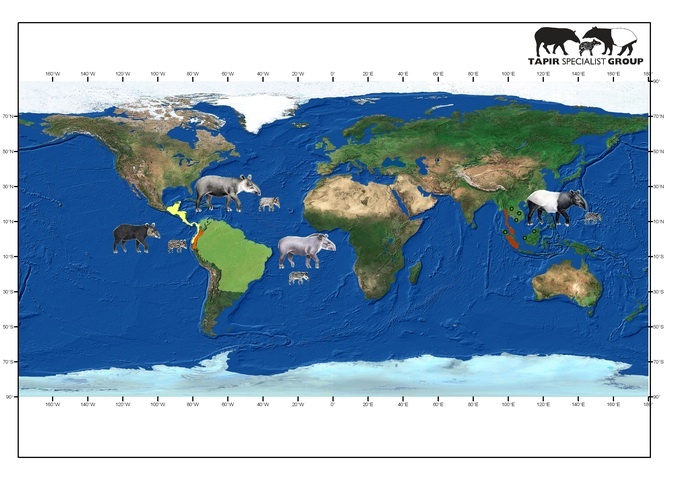 Until the fifth species was announced this week, four species of tapir were recognized: three found in Central and South America, Baird’s Tapir (Tapirus bairdii), Brazilian Tapir, also called Lowland Tapir, (Tapirus terrestris), and Mountain Tapir (Tapirus pinchaque), and one found in Asia, Malayan Tapir (Tapirus indicus). The Mountain Tapir are the rarest, and have longer, woolly fur. 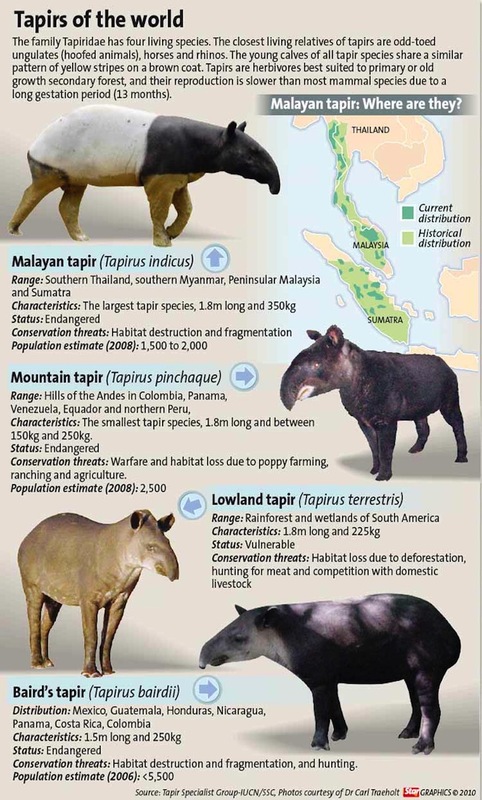 Four previously known tapirs charts and map. Credit: Tapir Specialist Group. 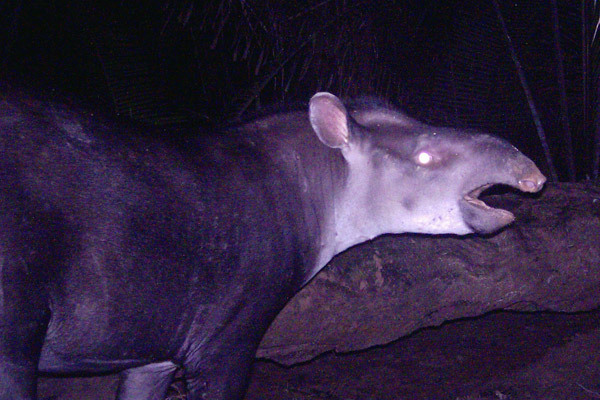 Now a new species of tapir has been discovered: the Kobomani Tapir (Tapirus kabomani). 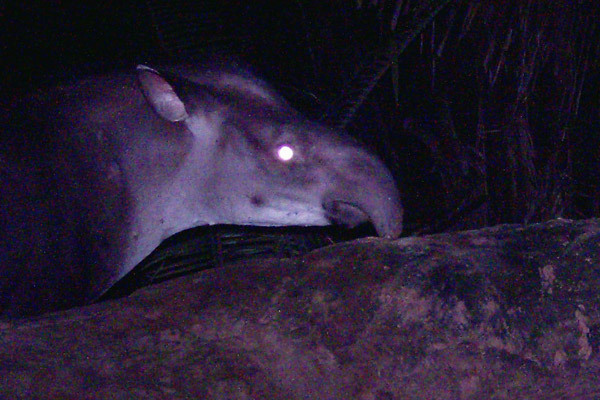 The species name follows the local Paumarí moniker for this specific tapir, arabo kabomani. This is the first new tapir discovered since Baird’s, in 1865 and the largest terrestrial mammal discovered since the saola in 1992! No wonder it is being called the “biggest zoological discovery” of the present century. “In what will likely be considered one of the biggest (literally) zoological discoveries of the Twenty-First Century, scientists today announced they have discovered a new species of tapir in Brazil and Colombia. 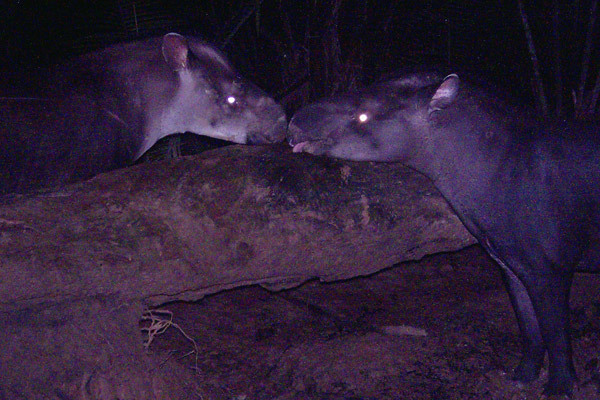 The new mammal, hidden from science but known to local indigenous tribes, is actually one of the biggest animals on the continent, although it’s still the smallest living tapir,” notes Mongabay writer Jeremy Hance. The cryptozoologically ethnoknown nature of this former cryptid cannot be overstated. Others have claimed knowledge of this tapir before. 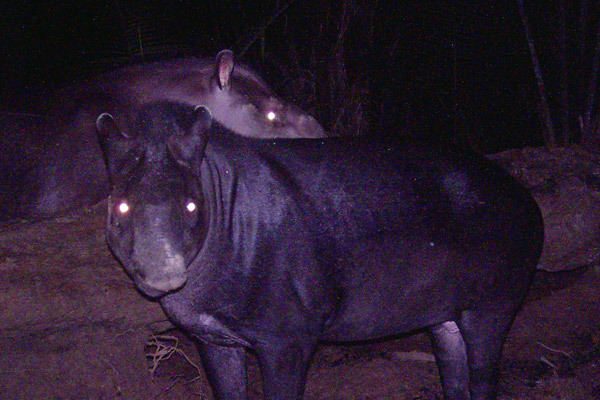 Zoologist Marc Van Roosmalen has been gathering evidence of a pygmy tapir for decades. Source. But this discovery has now been scientifically confirmed. And the photographs are amazing. This early record is to be found in Allen, J. A. 1914. Mammals collected on the Roosevelt Brazilian expedition, with field notes by Leo Miller. Bulletin of the American Museum of Natural History 35:559–610. Author(s): Mario A. Cozzuol , Camila L. Clozato , Elizete C. Holanda , Flávio H. G. Rodrigues , Samuel Nienow , Benoit de Thoisy , Rodrigo A. F. Redondo , and Fabrício R. Santos Journal of Mammalogy, 94(6):1331-1345. 2013. Published By: American Society of Mammalogists.